I was never a big fan of waking up early on a Sunday morning, however due to my passion for finding healthy food options, I woke up last week to go try the best vegetarian burger in Adelaide- Veggie Velo (A food bicycle that serves hand-made organic vegetable patties that was super delicious! 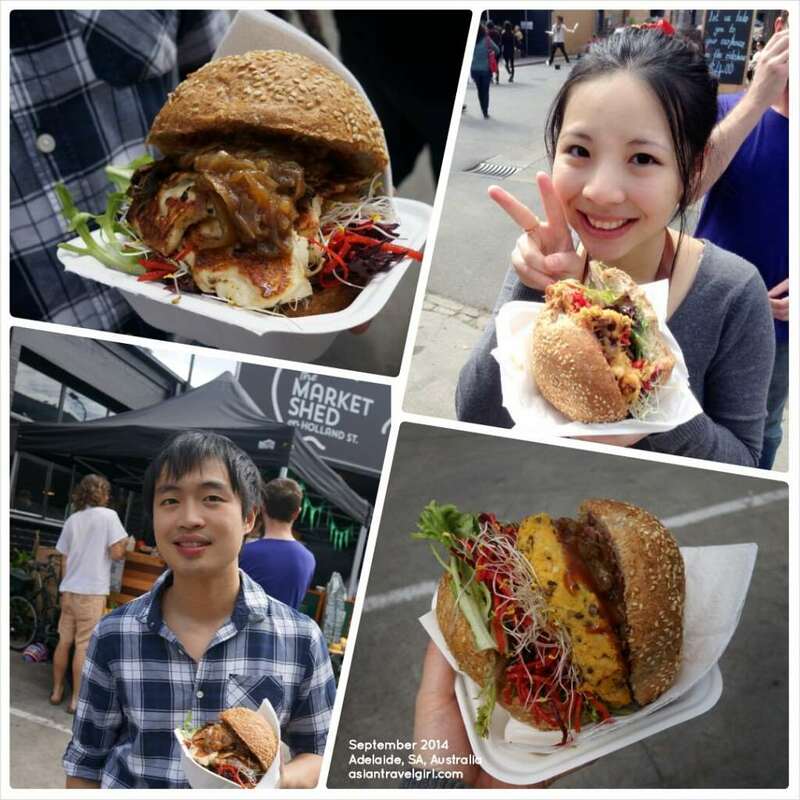 Full review please read “Veggie Velo Food Truck: best vegetarian burger in Adelaide“). This was when I discovered The Market Shed on Holland near South Terrace, a Sunday Market that opens every Sunday from 9am-3pm. 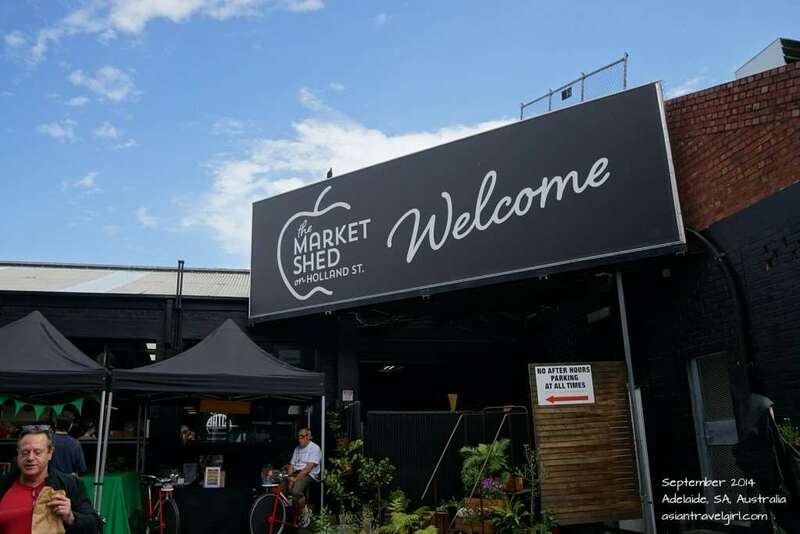 Welcome to The Market Shed on Holland on a beautiful Sunday morning! 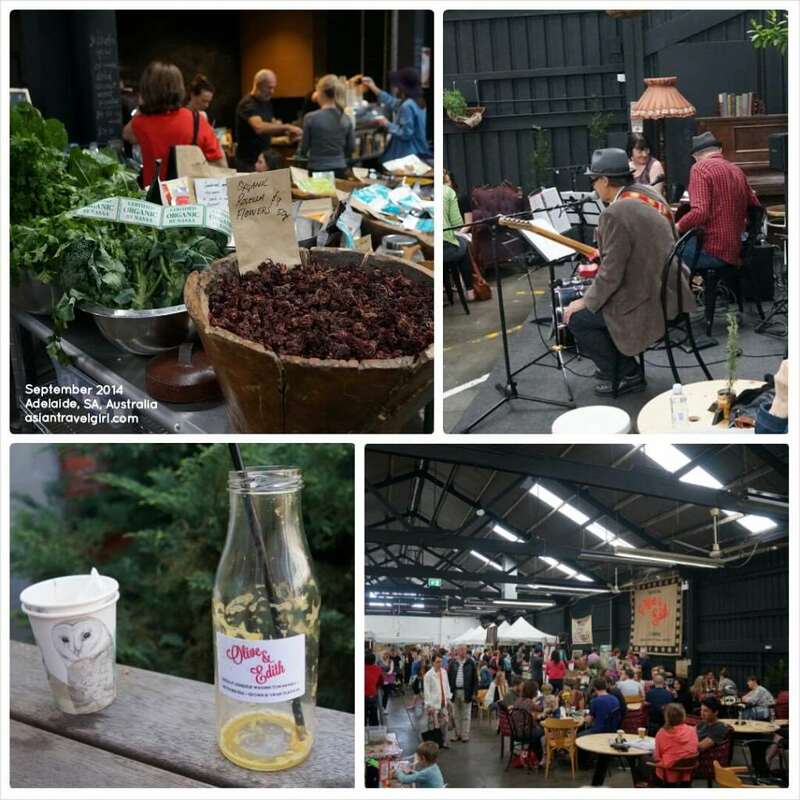 This Sunday market focuses on certified organic, sustainable local produce and it is a great place to have breakfast & brunch with your families and friends. 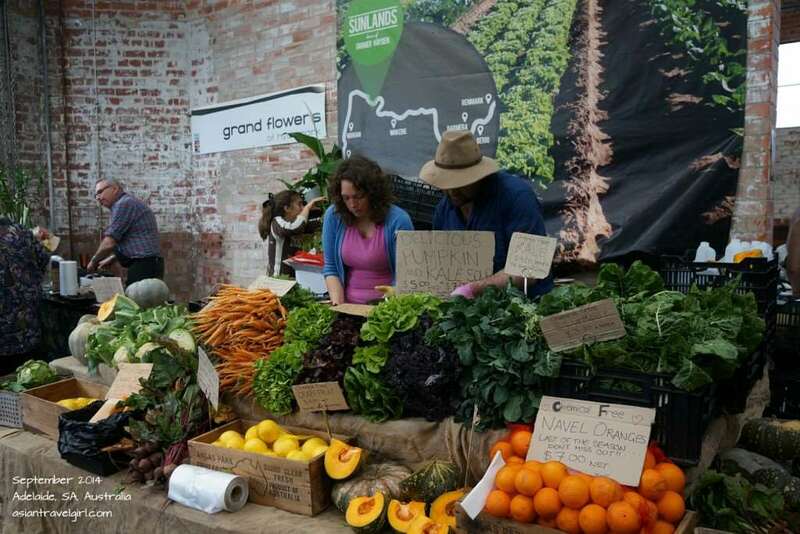 There area also many stalls selling freshly picked fruits and vegetables from local areas. I heard from one of my friends that the apples here are delicious, certainly can’t compare to the ones you buy from Woolworths or Coles. Wood-oven pizza freshly prepared in front of your eyes. I was so excited at my new discovery, I decided to try every possible food that my stomach could take. The first one was obviously Veggie Velo, the vegetarian burger that I brought me here. 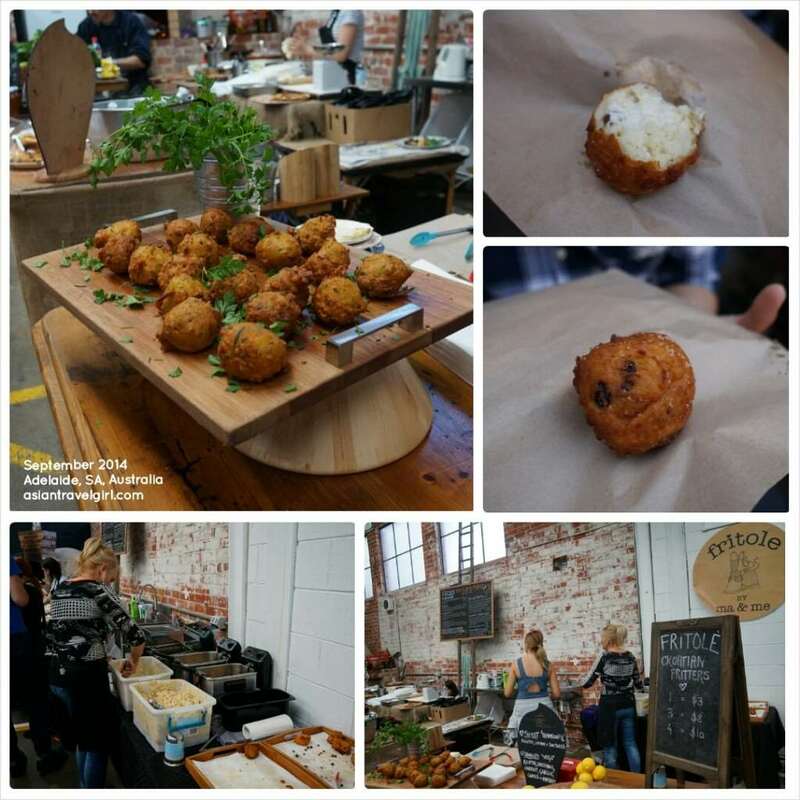 The organic lentil and chickpea pattie was so filling, it was a mission to try other food in the market. The first stop was Nurish Delish and Nutrish, two friends with a passion of making organic super-food and snacks. 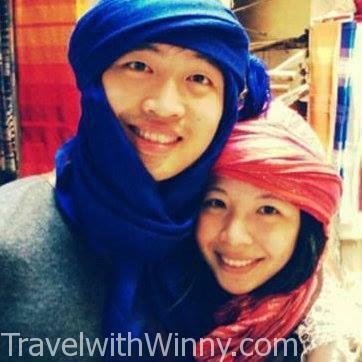 We had their cold-pressed bloody beetroot, carrot, apple centrifuged juice which costed AUD$8.50. The juices were filled in a jar, which you get AUD$1 back if you returns to them after drinking it. I think that was a great idea in terms of recycling, since not everyone needs a glass jar at home. Cold-pressed juices seems to be the next new thing. Apparently compare to the traditional blending or grinding, by pressing the juices with tremendous amount of pressure, you won’t oxidize or degrade the fruits and vegetables. This helps to keep the nutrients and enzymes intact, it is pretty much the closest things to raw fruit and vegetables. Maybe I should invest one of those at home. 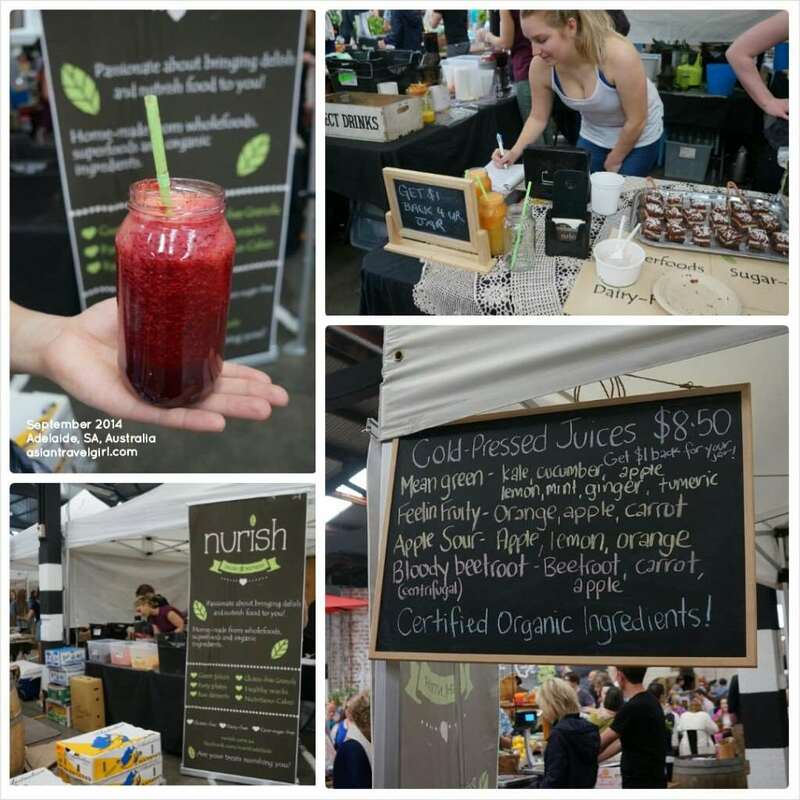 Nurish Delish & Nutrish- Cold-pressed bloody beetroot, carrot, apple centrifuged juices. Our next stop was a stall that was on the left hand side of the market called “Aki’s Hand- Japanese Fine Food”. 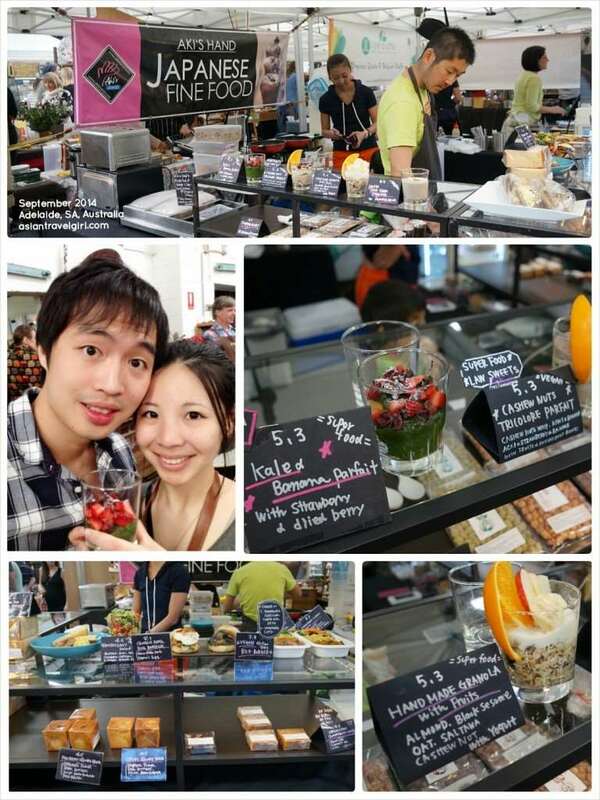 The stall was actually quite spacious with many cute organic desserts on the table. Each of them looked delicious, I really wish they open an actual bakery or a store rather than a catering business. There were also many baked goods as well as different types of parfait. We choose “Kale & Banana Parfait with strawberry and dried berry” AUD$5.30. After we ordered, the lady informed us that there weren’t enough ingredients for our Kale & Banana Parfait, she said we can either choose a different flavor or she will discounted to half price. We opted for the half price option and when we received our parfait, the size looked pretty decent already! We would’ve been fooled thinking it was a full portion anyway. I think it was great they were open and honest about it. The parfait was actually assembled in the kitchen at the back, it was not pre-made. We will sure come back another Sunday to try out this delicious Japanese delicacies. The last food we tried was from Fritole by Ma & Me, a mother and daughter team that sells fritole only. Frittelle or fritole are Venetian doughnuts that are often served during Carnivals. You can have many different types of fillings, the stall here only sells two types- the sweet “Traditional” with ricotta, lemon and sultanas and Savoury “Vego” with ricotta, zucchini, carrot, garlic, chives and parsley. The fritoles were prepared on site and were fried as needed to ensure the freshness. We had a sweet traditional fritole and had to wait for 5 minutes. Many other customers were lining up for it as well. It was quite nice, although we probably had too much food to taste the exact ingredients in the fritole. 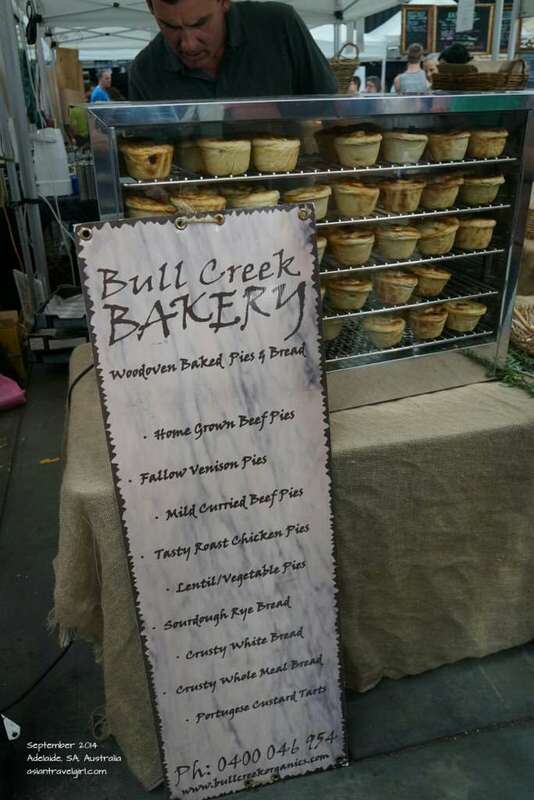 Another place that I would really want to try next time are the pies from Bull Creek Bakery from Adelaide Hills. 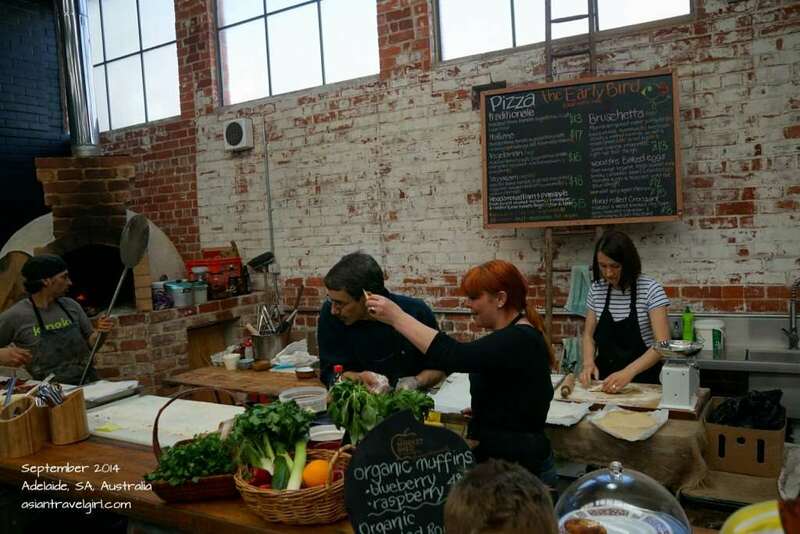 They are a traditional wood-oven bakery located on their farm at Bull Creek. Their pies included home grown beef, tasty roast chicken, fallow venison, lentil and vegetables and mild curried beef. They also have a selection of bread including my favourite sourdough rye and crusty wholemeal. Their Portuguese custard tarts looked really good too. Inside the market there were many other stall including organic coffee shops, more bakeries, more fresh juices place, more hand-made wood-oven pizza, there were just so many things for me to try! Probably will take me at least 2 weekends here for me to finish one round of food tasting. There were also live musics as well. 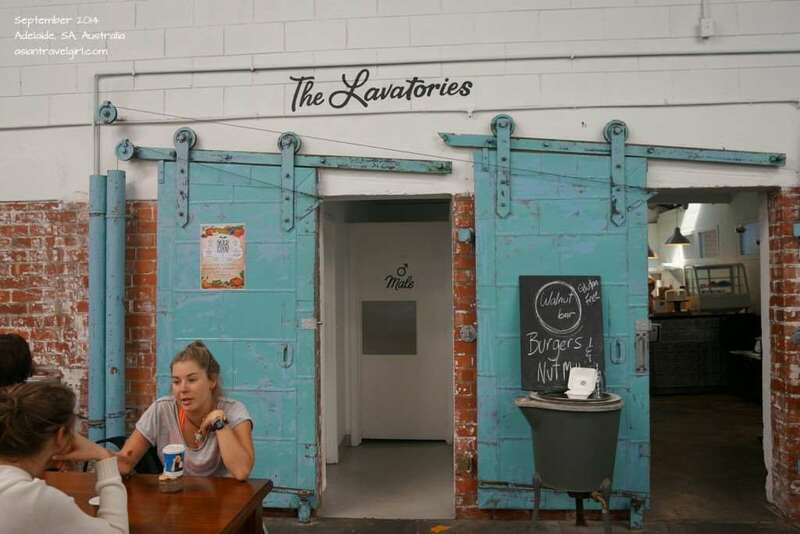 I think for anyone in Adelaide, this is a great place to hang out for a Sunday morning if you are into organic and healthy eating.